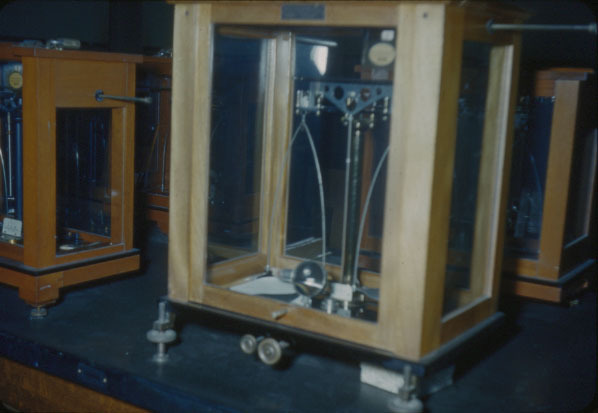 And finally, what to me is the most interesting one: “Chemistry Faculty Research, 1952.” If I knew what this was, I might be able to figure out whose research we’re looking at here, but I really have no idea. 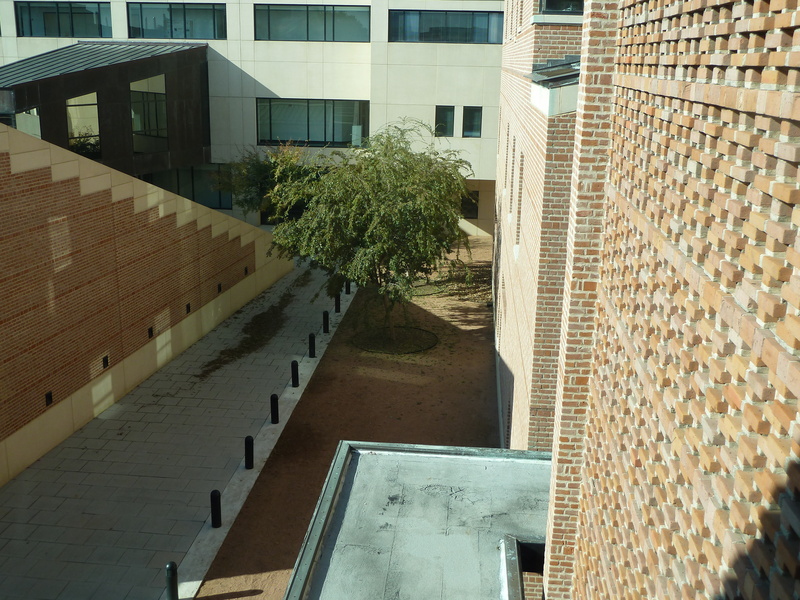 From the bonus pic, the brickwork is reminiscent of Lovett College, but it’s not any angle I recognize. Perhaps this is in the direction of the new servery put amongst Lovett, Will Rice, and Sid. I agree with Keith. It looks like it’s taken from the top of the tower of Space Science, looking diagonally down toward Dell Butcher alongside the amphitheatre. 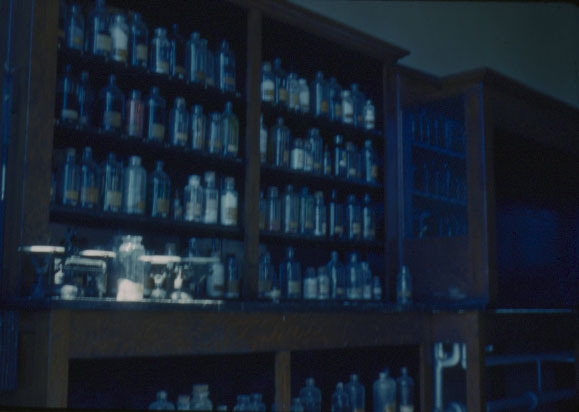 That was an unpublicized storage area of chemicals, where various ChE’s attempted to formulize potions for their dates, assuming they might one day get one. 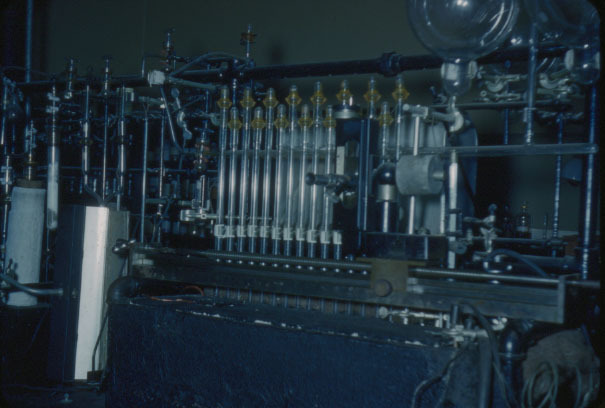 That was the working model of the device perfected and pictured in the 1956 “Campanile” on p. 30. I believe there was much interdepartmental cooperation on that project, at Kay’s Bar & Grill, The Glass Hat, Athen’s Bar & Grill, etc.